Does Your Custom Medical Cart Need Conductive Casters? Casters are an important part of your custom medical cart design. With so many configurable caster options available today, it’s hard to know which features are really necessary for your cart. 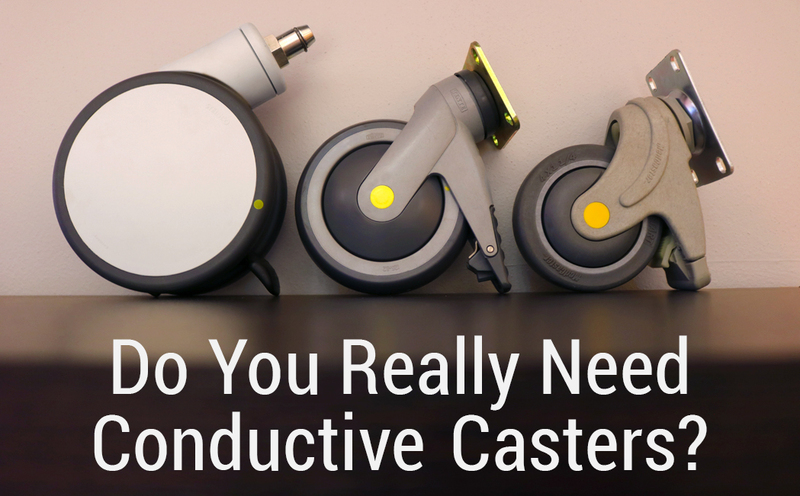 For this blog, we’re going to focus on some important information about conductive casters as well as alternative options for managing electrostatic discharge (ESD). Does IEC 60601-1 3rd Edition require conductive casters on medical carts? No, there is no standard in IEC 60601-1 3rd Edition that speaks to conductive casters. However, you may still choose to use conductive casters when you have to control electrostatic discharge (ESD). It’s the sudden flow of electricity between two objects that are differently charged. If you are not fully familiar with ESD, the Darnell Corporation published a white paper that does a great job explaining ESD and its effects. They also cover research and testing related to ESD management. Why Would Your Medical Cart Need Conductive Casters? Today we mainly install conductive casters on carts that carry sensitive electronic devices. For example, carts used in an electronics lab, or clean room, where technicians are handling integrated circuits or open circuit boards. Uncontrolled static electricity can cause electronic equipment to malfunction temporarily or in some cases permanently. These malfunctions result in costly repairs and replacements. Static electricity build up in medical carts can also cause the operator or the patient to feel a shock from static electricity, experience electrical damage, or electrostatic hazards. Conductive casters: Wheel manufacturers will show you how well their wheels discharge static electricity. However, over time floor wax and dirt will build on the caster and may reduce its effectiveness of ESD management. Drag chains: An effective option for controlling ESD, but they too can pick up dirt and floor wax. In addition, drag chains tend to be noisy and sometimes get twisted up, which causes them to lose grounding connectivity. Conductive rubber straps: A good ESD management option that does not make noise, but the straps can also build up dirt, floor wax and floor cleaner. None of these options are expensive, but keep in mind that they have to be checked and cleaned on a regular basis so they maintain their ability to discharge static electricity. We hope this blog has helped you choose a solution that will help you effectively manage ESD on your medical cart. 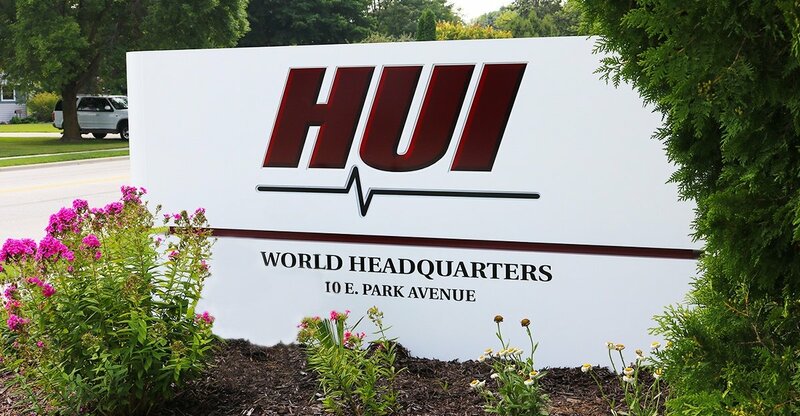 However, if you need more information, the team here at HUI has a lot of experience helping clients choose the best caster for their medical cart requirements. Please leave a question in the comments for consulting advice, or you can contact us today to discuss your custom medical cart project.